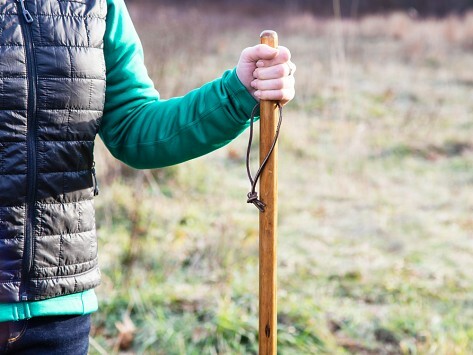 Take this straight wooden walking stick along on strolls for a little extra support. The stick is handcrafted in Texas by local artisans. It’s made from a sturdy, but lightweight single piece of pine wood, so there are no seams or breaking points. Its comfortable to hold. I use forearm crutches and at the end of the night or middle of the night it feels good to walk with the walking stick as long as I don't go far.